Please take a look at our selection of excellent Hua Hin real estate listings (available from the ‘FOR SALE & ‘RENTALS’ dropdown menus above) to either rent or buy hua hin villas in and around Prachuap Khiri Khan, a beautiful coastal province in central Thailand, only 2.5 hours south of Bangkok. 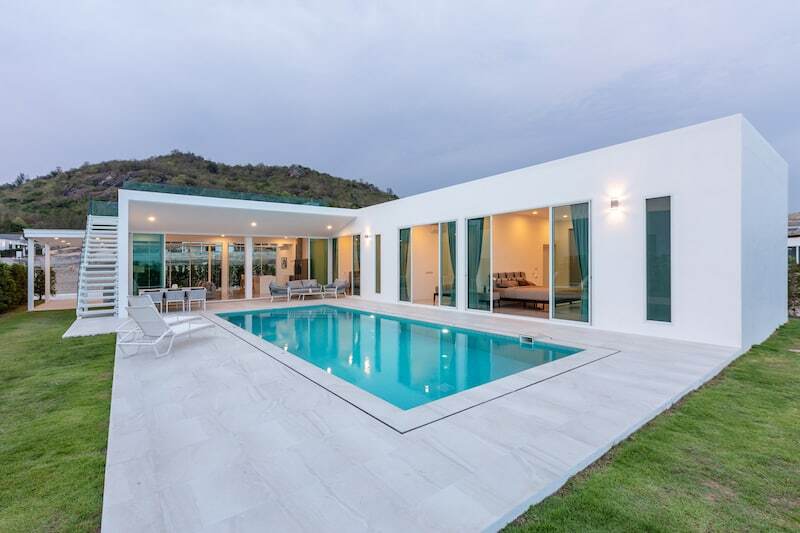 We have personally selected the best hua hin real estate deals and highest quality hua hin homes for sale throughout the local property market, ensuring that you will own a valuable home with our full support of services and recommendations. We begin our search for your perfect house or condo by focusing on your personal requirements and goals. We will share our vast local knowledge regarding the different developments and areas, zoning & land titles, access to basic and upgraded utilities (water, internet, electric, plumbing, etc). Having lived in nearly all areas of Hua Hin ourselves, we can offer advice and discuss the pros and cons associated with every neighborhood to help you make a fully informed decision before purchasing a property. Not only can we help you find your perfect home, we also specialize in buying and selling commercial real estate, such as: small businesses, large and small resorts, and raw plots of land. Contact us directly with your specific real estate needs, and we will locate exactly what you are looking for! If the ideal opportunity is not currently listed on our website, we will work to find what you want through our extensive network of local contacts and local experience. Buying property in Hua Hin, whether you’re looking for Hua Hin land for sale, an established Hua Hin businesses for sale, or even a large luxury Hua Hin resort for sale can be very daunting, especially if you are new to Thailand & negotiating in a foreign language. Please be reassured that there are real estate laws in Thailand to protect both buyers and sellers, but you must follow standard practices for transferring properties through the proper channels. We are here to help you with you Hua Hin real estate purchase needs and will use our wealth of experience and local knowledge to clearly explain the buying (or selling) process, as well as ensure that you are entirely comfortable throughout the entire experience, and totally satisfied with your new Hua Hin real estate investment. We are an honest and legally registered Hua Hin real estate company in Thailand with many years of experience and many happy clients. We pride ourselves on our integrity and our ability to work hard each and every time we sell a property to uphold our great reputation in the local real estate market place and to ensure our customers get the best quality customer service possible. Get in touch today and let us help you in your property search.